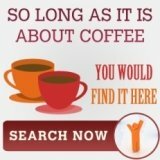 Coffee travel mugs -essential for good coffee? 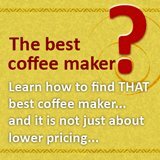 Coffee travel mugs are expensive,are they necessary for good coffee? Coffee travel mugs are expensive. These thermal container can cost as much as a Bunn coffee maker at 20 over dollars. And judging from the sales of million over pieces per year, they must be good in delivering the coffee experience! So, why are people snapping up these insulated mugs? The key reason that coffee travel mugs are becoming as important as coffee makers, if not more important is the sensitivity of brewed coffee to the environment. Remembering that freshly brewed coffee can only remain fresh for minutes, cold coffee is stale coffee (with the exception of cold brew). The hot plates offered by most coffee makers, does not solve the issue as control is difficult to attain and usually if the coffee does not go cold, it end up burnt, tasting bitter. The mugs solve these issues by simply providing the place to store coffee hot for hours, in fact some models can retain the temperature for up to 12 hours! Other than 'protecting' your good cuppa, there is course the convenience that these coffee travel mugs provides. 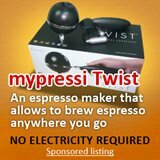 Currently, some coffee makers comes with insulated mugs similar that allows its users to brewed and carry, i.e. Melitta. However, most models, still do not have this option. In fact, moving forward I believe most model would come equipped with a coffee travel mugs, but for vacuum coffee maker or even some of the fully automatic espresso machines to have it, might still be a challenge. Lastly, an increasing number of folks are storing their coffee instead of leaving it on their coffee maker's hot plate due to increasing awareness of global warming. It is estimated that 100 grams of coal have to be burn to provide the energy to keep a pot of coffee warm on a hot plate. 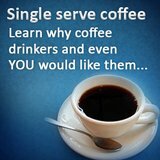 So, imagine how much energy we are wasting, for days, months and years as we leave 1 pot of coffee just for 1 hour! In contrast, using coffee thermal containers keep the coffee hot, does not burn the coffee and if environmental friendly. This article would not go into which thermal container or travel mugs is better, I believe most of them can at least keep your cuppa hot for 4 hours and above, and most of the big online shops are peddling them. I am only concerned you, getting a good coffee from the coffee travel mugs that you have purchased. So, here I am highlighting some tips, which I hope can allow you to get the same quality of coffee as they were just brewed, couple of hours later, from any thermal container. -The very first thing to retain the freshness and temperature of a fresh brew of coffee is to ensure that the travel mugs is first filled up with hot water for no less than 3 minutes. This would raise the temperature of the container to that of the coffee. -The containers must be wash frequently with soapy water to minimize the staining of the vacuum glass lining. Do not use any bleach or chlorine washing agent as this would spoil the stainless steel. -Unfortunately, dishwashers at the moment still do not have the technology to wash the interior lining of the travel mugs, so it can only be hand washed. -It might sound silly, but do not underestimate the storing power of all coffee travel mugs. 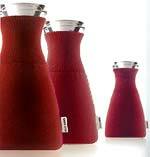 They are designed to keep liquid hot/cold for extended period of time, allow the coffee to cool prior to consuming it. -Why it is so expensive?-It is necessary? These mugs are mobile, gives you fresh coffee for hours and they are pretty hardy -so not a bad companion to have to get that great cuppa experience!